You might have known how to save Instagram photos on computer, iPhone or iPad, but do you know how to save Instagram videos to computer? 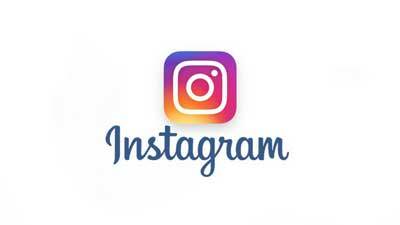 This tutorial will show you a simple and free way to download Instagram videos to your Mac or Windows PC. Then you can transfer these videos to your iPhone/iPad with or without iTunes, or if you are running a Mac, you can also AirDrop videos from your Mac to iPhone, it is very easy. Step 1. 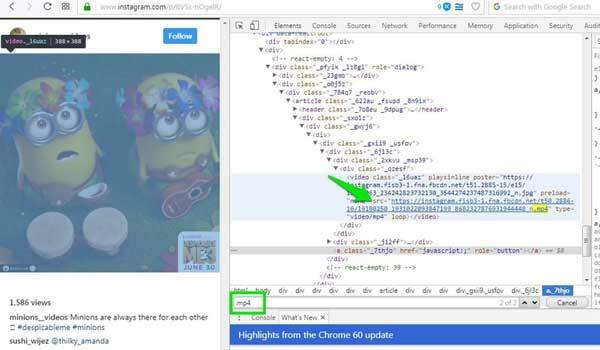 Open the Instagram video that you want to save, then right-click on it and select "Inspect element" (or "View page source" depending on your browser). Step 2. Then press "Ctrl" + "F" keys on keyboard to open Find feature, and enter ".mp4" into the blank. Then the search will open a section of code. Step 3. Then copy the link next to "src=" and the link ends with ".mp4", and paste the download link to a new tab. Then the video will start to play. Step 4. Now you can right-click on the video and select "Save video as..." option to download the video on your computer right now. It is very easy to save videos from Instagram to computer, Mac and Windows PC included, as long as you have an Instagram video downloader. Now please follow the steps as below to get the Instagram videos onto your computer. Step 1. 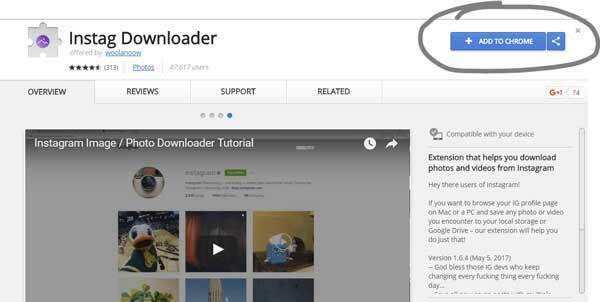 Open the Chrome web browser on your computer, then click "Instag Downloader" here for downloading the free Instagram Video Downloader on your Mac or Windows PC. This extension will help you download videos and photos from Instagram. Step 2. Then click "Add to Chrome" button on the right top of window, and wait for a while to complete the installation process. 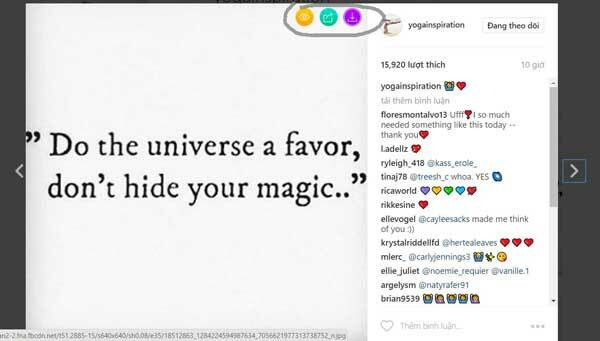 Besides, the online Instagram video/photo downloader named "Instagram Downloader" can help with downloading Instagram videos to computer, too. How to Download Twitter Videos on iPhone/iPad? How to Transfer Video from iPhone to Computer/PC Easily? How to Transfer/Download Videos from Computer to iPhone?